Stanley Milgram (August 15, 1933 – December 20, 1984) was an American social psychologist, best known for his controversial experiment on obedience conducted in the 1960s during his professorship at Yale. Milgram was influenced by the events of the Holocaust, especially the trial of Adolf Eichmann, in developing the experiment. After earning a PhD in social psychology from Harvard University, he taught at Yale, Harvard, and then for most of his career as a professor at the City University of New York Graduate Center, until his death in 1984. His small-world experiment while at Harvard led researchers to analyze the degree of connectedness, including the six degrees of separation concept. Later in his career, Milgram developed a technique for creating interactive hybrid social agents (called cyranoids), which has since been used to explore aspects of social- and self-perception. He is widely regarded as one of the most important figures in the history of social psychology. A Review of General Psychology survey, published in 2002, ranked Milgram as the 46th-most-cited psychologist in the 20th century. Milgram was born in 1933 in New York City ( the Bronx) to Jewish parents. His parents were Adele (née Israel) and Samuel Milgram (1902–1953), who had emigrated to the United States from Romania and Hungary respectively during World War I. He was the second of three children. Milgram's immediate and extended family were both affected by the Holocaust. After the war, relatives of his who had survived Nazi concentration camps and bore concentration camp tattoos stayed with the Milgram family in New York for a time. His Bar Mitzvah speech was on the subject of the plight of the European Jews and the impact that World War II events would have on Jewish people around the world. He said, upon becoming a man under Jewish law: "As I ... find happiness in joining the ranks of Israel, the knowledge of the tragic suffering of my fellow Jews ... makes this ... an occasion to reflect upon the heritage of my people—which now becomes mine. ... I shall try to understand my people and do my best to share the responsibilities which history has placed upon all of us." He later wrote to a friend from childhood: "I should have been born into the German-speaking Jewish community of Prague in 1922 and died in a gas chamber some 20 years later. How I came to be born in the Bronx Hospital, I'll never quite understand." Milgram's interest in the Holocaust had its basis in what his biographer, Professor Thomas Blass, referred to as Milgram's "lifelong identification with the Jewish people." Author Kirsten Fermaglich wrote that Milgram as an adult had "a personal conflict as a Jewish man who perceived himself both as an outsider, a victim of the Nazi destruction, and as an insider, as scientist." Alexandra stated that Milgram's Jewish identity led to his focus on the Holocaust and his obedience-to-authority research. He shared this as well with Herbert Winer, one of his obedience study subjects, who noted after speaking to Milgram about the experiment that "Milgram was very Jewish. I was Jewish. We talked about this. There was obviously a motive behind neutral research." Milgram married his wife, Alexandra, in a ceremony at the Brotherhood Synagogue in Greenwich Village in Manhattan on December 10, 1961, and they had two children, Michele and Marc. Milgram's father worked as a baker, providing a modest income for his family until his death in 1953 (upon which Stanley's mother took over the bakery). Milgram attended PS 77 and James Monroe High School in the Bronx (which he graduated from in three years), and excelled academically and was a great leader among his peers. One of Milgram's classmates at James Monroe High School was Philip Zimbardo, the architect of the Stanford prison experiment. Milgram and Zombardo also shared an affinity for the popular television program Candid Camera and an admiration for its creator, Allen Funt. By the time he was college age, his family had moved to nearby Queens. In 1954, Milgram received his bachelor's degree in political science from Queens College in New York, which he attended tuition-free. He also studied at Brooklyn College, where he received A-grades in "Psychology of Personality" and "An Eclectic Approach to Social Psychology." He applied to a PhD program in social psychology at Harvard University, and was initially rejected due to an insufficient background in psychology (he had not taken any undergraduate courses in psychology at Queens College). He was eventually accepted to Harvard in 1954 after first enrolling as a student in Harvard's Office of Special Students. In 1961, Milgram received a PhD in social psychology from Harvard. He became an assistant professor at Yale in the fall of 1960. He served as an assistant professor in the Department of Social Relations at Harvard from 1963 to 1966 on a three-year contract. The contract was then extended for one additional year, but with the lower rank of a lecturer. Most likely because of his controversial obedience experiment, Milgram was denied tenure at Harvard. In 1967 he accepted an offer to become a tenured full professor at the City University of New York Graduate Center, and he taught at City University until he died in 1984. Milgram had a number of significant influences, including psychologists Solomon Asch and Gordon Allport. Milgram died on December 20, 1984, aged 51, of a heart attack in New York City. It was his fifth heart attack. He left behind a widow, Alexandra "Sasha" Milgram, a daughter, Michele Sara, and a son, Marc Daniel. In 1963, Milgram submitted the results of his obedience experiments in the article "Behavioral Study of Obedience." In the ensuing controversy, the American Psychological Association held up his application for membership for a year because of questions about the ethics of his work, but eventually did grant him full membership. Ten years later, in 1974, Milgram published Obedience to Authority. He won the AAAS Prize for Behavioral Science Research in 1964, mostly for his work on the social aspects of obedience. Inspired in part by the 1961 trial of Adolf Eichmann, his models were later also used to explain the 1968 My Lai Massacre (including authority training in the military, depersonalizing the "enemy" through racial and cultural differences, etc.). He produced a film depicting his experiments, which are considered classics of social psychology. In Milgram's basic paradigm, a subject walks into a laboratory believing that s/he is about to take part in a study of memory and learning. After being assigned the role of a teacher, the subject is asked to teach word associations to a fellow subject (who in reality is a collaborator of the experimenter). The teaching method, however, is unconventional—administering increasingly higher electric shocks to the learner. Once the presumed shock level reaches a certain point, the subject is thrown into a conflict. On the one hand, the strapped learner demands to be set free, he appears to suffer pain, and going all the way may pose a risk to his health. On the other hand, the experimenter, if asked, insists that the experiment is not as unhealthy as it appears to be, and that the teacher must go on. In sharp contrast to the expectations of professionals and laymen alike, some 65% of all subjects continue to administer shocks up to the very highest levels. More recent tests of the experiment have found that it only works under certain conditions; in particular, when participants believe the results are necessary for the "good of science." Inspired by the horrific events of Nazi Germany, Milgram's obedience experiments have been used to explain a range of social influences on the individual—including how police interrogators can get innocent people to confess to crimes they did not commit. At the same time, these experiments have come under attack. Some critics questioned whether subjects sensed the unreality of the situation. Others questioned the relevance of the laboratory setting to the real world. Even though Milgram’s personal interests were diverse, his greatest contribution to psychology came through one set of experiments, but in that set he contributed monumentally. He helped justify a science some dismiss as unimportant, contributed to the understanding of humanity, and, even if by way of attacks against him, contributed to the consideration of the treatment of research participants. The six degrees of separation concept was examined in Milgram's 1967 "small-world experiment," which tracked chains of acquaintances in the United States. In the experiment, Milgram sent several packages to 160 random people living in Omaha, Nebraska, asking them to forward the package to a friend or acquaintance who they thought would bring the package closer to a set final individual, a stockbroker from Boston, Massachusetts. Each "starter" received instructions to mail a folder via the U.S. Post Office to a recipient, but with some rules. Starters could only mail the folder to someone they actually knew personally on a first-name basis. When doing so, each starter instructed their recipient to mail the folder ahead to one of the latter's first-name acquaintances with the same instructions, with the hope that their acquaintance might by some chance know the target recipient. Given that starters knew only the target recipient's name and address, they had a seemingly impossible task. Milgram monitored the progress of each chain via returned "tracer" postcards, which allowed him to track the progression of each letter. Surprisingly, he found that the very first folder reached the target in just four days and took only two intermediate acquaintances. Overall, Milgram reported that chains varied in length from two to ten intermediate acquaintances, with a median of five intermediate acquaintances (i.e. six degrees of separation) between the original sender and the destination recipient. Milgram's "six degrees" theory has been severely criticized. He did not follow up on many of the sent packages, and as a result, scientists are unconvinced that there are merely "six degrees" of separation. Elizabeth DeVita–Raebu has discussed potential problems with Milgram's experiment. In 2008, a study by Microsoft showed that the average chain of contacts between users of its '.NET Messenger Service' (later called Microsoft Messenger service) was 6.6 people. Milgram developed a technique, called the "lost letter" experiment, for measuring how helpful people are to strangers who are not present, and their attitudes toward various groups. Several sealed and stamped letters are planted in public places, addressed to various entities, such as individuals, favorable organizations like medical research institutes, and stigmatized organizations such as "Friends of the Nazi Party." Milgram found most of the letters addressed to individuals and favorable organizations were mailed, while most of those addressed to stigmatized organizations were not. In 1970–71, Milgram conducted experiments which attempted to find a correlation between media consumption (in this case, watching television) and anti-social behavior. The experiment presented the opportunity to steal money, donate to charity, or neither, and tested whether the rate of each choice was influenced by watching similar actions in the ending of a specially crafted episode of the popular series Medical Center. In 1977 Milgram began piloting an experimental procedure that aimed to operationalize the mind-body fusion fantasy explored in the Edmond Rostand play Cyrano de Bergerac. In the story, Cyrano supplies Christian with amorous prose so that they may jointly woo Roxane (each being incapable, given their respective physical and linguistic limitations, of doing so on their own). Milgram trained speech shadowers to replicate in real-time spontaneous prose supplied by a remote "source" by-way-of discreet radio transmission during face-to-face dialogue with naïve "interactants." In homage to Cyrano, he referred to the hybrid agent formed by combining the words of one individual with the body of another as a "cyranoid." In his studies, interactants repeatedly failed to detect that their interlocutors were merely speech shadowing for third parties, implicitly and explicitly attributing to them communicative autonomy. Milgram referred to this phenomenon as the "cyranic illusion." This illusion held even in circumstances involving high disparity between shadower and source, such as when he sourced for child shadowers while being interviewed by panels of teachers (naïve to the deception) tasked with assessing each child's intellectual abilities. Milgram hoped that the cyranoid method could evolve into a useful means of interactively exploring phenomena related to social behavior and self-perception (e.g., racial, gender, and age-based stereotyping and behavioral confirmation). Though he continued to develop the methodology through 1984 (the year of his death), he never prepared a formal publication detailing his cyranoid experiments. In 2014, social psychologists at the London School of Economics published the first replications of Milgram's original pilots. Robb Mitchell has explored cyranoids as an experiential learning tool within the classroom (having children shadow for teachers during teaching exercises). Cyranoids have also been used in installation art to explore social experiences whereby people encounter those familiar to them through the bodies of strangers. In 1975, CBS presented a made-for-television movie about obedience experiments, The Tenth Level, with William Shatner as Stephen Hunter, a Milgram-like scientist. Milgram was a consultant for the film, though his personal life did not resemble that of the Shatner character. In this film, incidents were portrayed that never occurred in the followup to the real-life experiment, including a subject's psychotic episode and the main character saying that he regretted the experiment. When asked about the film, Milgram told one of his graduate students, Sharon Presley, that he was not happy with the film and told her that he did not want his name to be used in the credits. At first this seems a very negative thing," says Gabriel, "but I was comforted that some had the strength to rebel, and in the So version of the song, which I’ve been performing in concert since around 1980, the emphasis is shifted to the positive side. Milgram 18 was reproduced to test the participants in a 2008 television special The Heist. Created by Derren Brown and Andy Nyman for British station Channel 4, the Milgram experiment helped determine which candidates were the most responsive to authority. The four most responsive and psychologically sound candidates at the end of the show were indirectly given the opportunity to rob a (fake) armoured bank van. In March 2010, French television channel France 2 broadcast Jusqu'où va la télé, describing the results of a fake game show that they had run 80 times (each time independently, and with a new contestant and audience). The contestants received instructions to administer what they thought would be near fatal electric shocks to another "contestant" (really an actor) when that other contestant erred on memorized word-associations. Encouraged by the show's host and by an unprimed studio audience, the vast majority followed instructions even as the "victim" screamed. In 2010, luxury brand Enfants Perdus released a collection called "Milgram," in which the designers drew themes and inspiration from the Milgram experiment. The design team has referenced the discussions about the human condition and the revelations of the human condition in numerous interviews. In 2015, an experimental biopic about Milgram called Experimenter was released, directed by Michael Almereyda. Peter Sarsgaard stars as Stanley Milgram. ^ a b Sperry, Len (2015-12-14). Mental Health and Mental Disorders: An Encyclopedia of Conditions ... p. 70. ISBN 9781440803833. Retrieved 2016-05-05. ^ Blass, Thomas (1998). "The roots of Stanley Milgram's obedience experiments and their relevance to the Holocaust" (PDF). Analyse & Kritik. 20 (1): 49. doi:10.1515/auk-1998-0103. ISSN 0171-5860. OCLC 66542890. Archived from the original (PDF) on November 5, 2013. Retrieved January 14, 2012. ^ a b Blass, Thomas (2009-02-23). The Man Who Shocked the World: The Life and Legacy of Stanley Milgram - Thomas Blass - Google Books. p. 15. ISBN 9780465008070. Retrieved 2016-05-05. ^ a b c Dr. Megan E. Bradley (1933-08-15). "Stanley Milgram". Faculty.frostburg.edu. Retrieved 2016-05-05. ^ Thomas Blass (November 2000). Obedience to Authority: Current Perspectives on the Milgram Paradigm. Psychology Press. p. 1. ISBN 978-0-8058-3934-0. ^ Jackson, Kenneth T.; Markoe, Karen; Markoe, Arnie (August 1, 1998). The Scribner Encyclopedia of American Lives. New York, NY, USA: Charles Scribner's Sons. ISBN 978-0684804927. OCLC 755235271. Retrieved August 29, 2012. ^ a b Clark Power, F. (2008). Moral Education: M-Z. p. 270. ISBN 9780313346484. Retrieved 2016-05-05. 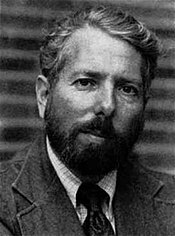 ^ a b "Stanley Milgram Facts, information, pictures | Encyclopedia.com articles about Stanley Milgram". Encyclopedia.com. Retrieved 2016-05-05. ^ "The Man Who Shocked The World". Psychology Today. 2016-03-01. Retrieved 2016-05-05. ^ Kirsten Fermaglich (2007). American Dreams and Nazi Nightmares: Early Holocaust Consciousness and ... p. 164. ISBN 9781584655497. Retrieved 2016-05-05. ^ a b Thomas Blass. "From New Haven to Santa Clara : A Historical Perspective on the Milgram Obedience Experiments" (PDF). Uni-muenster.de. Retrieved 2016-05-05. ^ a b Thomas Blass (2009-02-24). The Man Who Shocked the World: The Life and Legacy of Stanley Milgram. ISBN 9780465008070. Retrieved 2016-05-05. ^ Tartakovsky, Margarita (2011-09-04). "Stanley Milgram & The Shock Heard Around the World | World of Psychology". Psychcentral.com. Retrieved 2016-05-05. ^ Thomas Blass. "From New Haven to Santa Clara : A Historical Perspective on the Milgram Obedience Experiments" (PDF). Uni-muenster.de. Retrieved 2016-05-05. ^ a b c Kirsten Fermaglich (2007). American Dreams and Nazi Nightmares: Early Holocaust Consciousness and ... p. 100. ISBN 9781584655497. Retrieved 2016-05-05. ^ Thomas Blass (2009-02-24). The Man Who Shocked the World: The Life and Legacy of Stanley Milgram. p. 74. ISBN 9780465008070. Retrieved 2016-05-05. ^ Perry, Gina (2013). Behind the Shock Machine: the untold story of the notorious Milgram psychology experiments. The New Press. ISBN 978-1595589217. ^ Milgram, Stanley (1977). The Individual in a Social World: Essays and Experiments. Addison Wesley. pp. 324–332. ^ "Stanley Milgram". faculty.frostburg.edu. Retrieved 2015-10-23. ^ a b Philip Banyard; Cara Flanagan (2013-09-05). OCR Psychology: AS Core Studies and Psychological Investigations. p. 149. ISBN 9781135049317. Retrieved 2016-05-05. ^ Cary L. Cooper (2004-10-01). "A sparky study that tests your blind obedience". Times Higher Education. Retrieved 2009-07-25. ^ Goleman, Daniel (1984-12-22). "DR. STANLEY MILGRAM, 51, IS DEAD - STUDIED OBEDIENCE TO AUTHORITY". NYTimes.com. Retrieved 2016-05-05. ^ "AAAS Prize for Behavioral Science Research". Archives.aaas.org. Retrieved 2016-05-05. ^ "The Bad Show". WNYC. Retrieved 19 April 2012. ^ Kassin, S (2015). "The social psychology of false confessions". Social Issues and Policy Review. 9: 24–49. doi:10.1111/sipr.12009. ^ Milgram, Stanley (1974). Obedience to Authority. New York: Harper & Row. p. 169. ^ "Could It Be A Big World After All?". Uaf.edu. Archived from the original on March 1, 2009. Retrieved 2009-06-22. ^ Elizabeth DeVita–Raebu (2008-01-28). "If Osama's Only 6 Degrees Away, Why Can't We Find Him? | Human Origins". DISCOVER Magazine. Retrieved 2009-06-22. ^ Jure Leskovec; Eric Horvitz (2008). "Planetary-Scale Views on an Instant-Messaging Network". arXiv:0803.0939 [physics.soc-ph]. ^ Harvey Russell Bernard (2000). Social Research Methods: Qualitative and Quantitative Approaches. ISBN 9780761914037. Retrieved 2016-05-05. ^ a b "Stanley Milgram". Everything2.com. Retrieved 2010-06-22. ^ Corti, K.; Gillespie, A. (2014). "Revisiting Milgram's Cyranoid Method: Experimenting With Hybrid Human Agents" (PDF). The Journal of Social Psychology. 155 (1): 30–56. doi:10.1080/00224545.2014.959885. PMID 25185802. ^ Mitchell, R. (2010). "Teaching Via Human Avatar: Enlivening Delivery Through Students Acting as Proxies for Remote Lecturers" (PDF). Archived from the original (PDF) on 2014-10-06. Paper presented at SOLSTICE 2010, Lancashire, United Kingdom. ^ Mitchell, R.; Gillespie, A.; O’Neill, B. (2011). "Cyranic Contraptions: Using Personality Surrogates to Explore Ontologically and Socially Dynamic Contexts". Paper presented at DESIRE’11, Eindhoven, Netherlands. ^ Media, Spin L.L.C (September 1986). "Gabriel". Spin Magazine. Retrieved 2015-09-12. ^ "Derren Brown: The Specials - Derren Brown: The Heist". Channel 4. Retrieved 2016-05-05. ^ "French contestants torture each other on TV Game of Death". Telegraph. 2010-03-17. Retrieved 2016-05-05. ^ "Collections". Enfants Perdus. Archived from the original on 2016-06-02. Retrieved 2016-05-05. Milgram, S.; Liberty; II; Toledo, R.; Blacken, J. (1956). "Response to intrusion in waiting lines". Journal of Personality and Social Psychology. 51 (4): 683–9. doi:10.1037/0022-3514.51.4.683. Baumann, Michael; Leist, Anton, eds. (1998). "Milgram und die Täter des Holocaust (1998 heft 1 abstracts)" [Milgram and the perpetrators of the Holocaust (1998 issue 1 abstracts)]. Analyse & Kritik (in German and English). 20 (1): 49. ISSN 0171-5860. OCLC 66542890. Archived from the original (PDF) on October 7, 2013. Retrieved January 14, 2012.